Owls are fascinating animals because of the unique way they look and what they symbolise. This is what has led them to be very popular on posters, art prints as well as tattoo designs. As spirit animals, owls are known to symbolise wisdom and intuition. 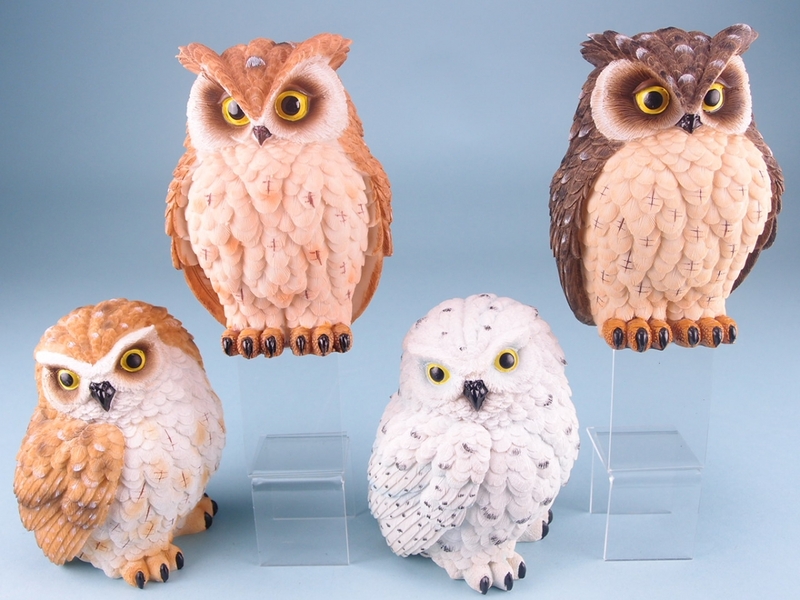 You can now give your customers the chance to bring some of these qualities into their own lives with these beautiful ruffled feather owls from SDL Imports. 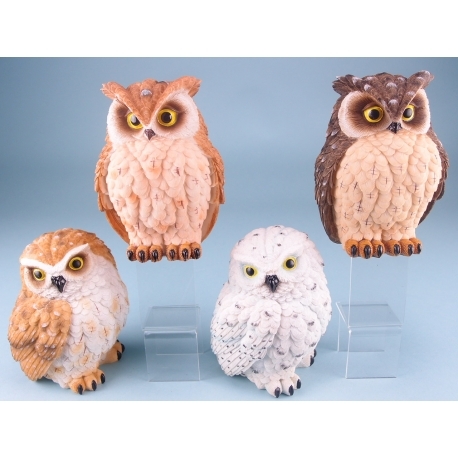 Available in four different designs, the owls have been carefully crafted and at 15 centimetres, will make an immediately noticeable display ornament that would be suitable for practically any living space!